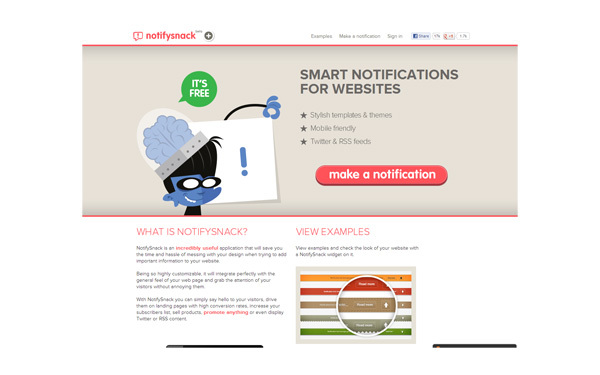 NotifySnack is a powerful new tool designed to create beautiful notification widgets for your websites. 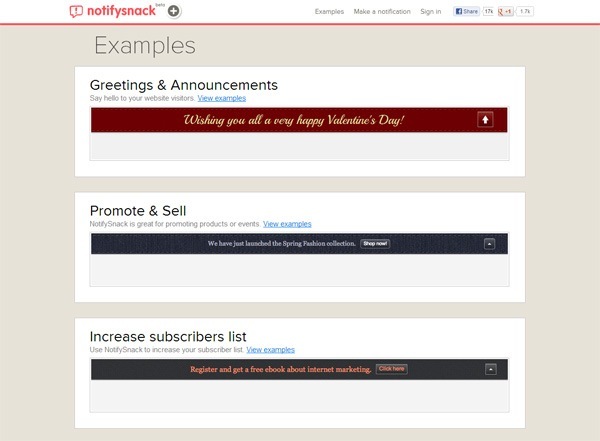 NotifySnack is great for saying “hello” to your visitors, promoting specific blog posts, getting subscribers, selling products, making announcements, driving traffic to certain web pages, and much more. Being so highly customizable, it will integrate perfectly with the general look-and-feel of your web pages and grab the attention of your visitors. Check out some examples of NotifySnack to get an idea of how useful it is. The VIP memberships being given away in this post will grant the winners with full access to all of the apps above (including NotifySnack) for an entire year. How would a SnackTools VIP membership benefit you? This giveaway ends on Tuesday, February 12, 2013 after which the comments section on this post will be closed and you will no longer be able to leave a comment. Please leave a valid email address when filling out the comment form so that we can contact you if you have won. The winners will be announced on a separate post and you’re advised to subscribe to our RSS feed so that you can be quickly notified when we publish the winners announcement post. Please note that comments are moderated and your comment may not show up right away. Please also note that comments that don’t follow the instructions on how to participate (described above) may not be published, or may be removed later on.